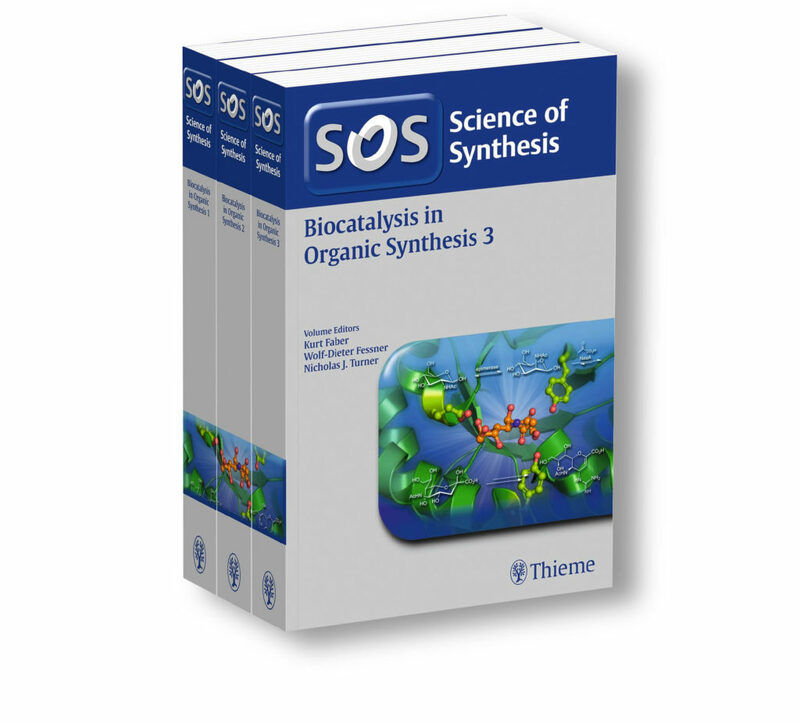 Cover design for book series „Science of Synthesis“ on Biocatalysis in Organic Sytnthesis. This design was made for the book cover for the issue on Biocatalysis in Organic Synthesis for the book series „Science of synthesis“. It shows the active site of an enzyme with the substrate bound and the essential amino acid residues highlighted as ball and stick models. The reactions catalysed by the enzyme are shown as schemes.